Stuart Anderson had led a fascinating life for the past 90 years. He built Black Angus, America's #1 restaurant chain of the 1980s and ranched on a 26,000 acre spread where he raised cattle. His circle of friends has included Hollywood stars and corporate bigwigs. You'll discover his persona history is a lot like the man - larger than life! In addition, reader benefits: * Discover the ins and outs of profitable restaurant management as imparted by a master entrepreneur * Delight in "bone head" mistakes Anderson made early in his career like the case of the "melted chocolate" or "bitter pills for bulls." * Get a backstage look at celebrity friendships and news-making events. 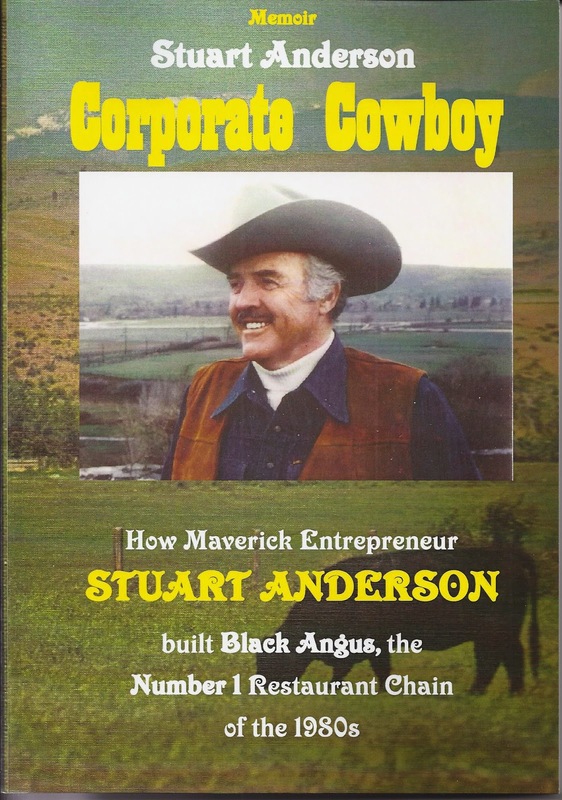 * Try some Black Angus favorite recipes and get some diabetic tips Won't you too join in the adventures of this "Corporate Cowboy's" successes and failures which are by turns sobering, insightful, laugh-out-loud funny and full of folksy wisdom. Let's start with an editor's perspective on this one. The layout looks like it was done by someone with no real background in book layout and the font is more suitable for those with eyesight issues versus normal eyes. That being said, I found this book to be an enjoyable read. It was a lot like sitting down with someone in their early 90s and just having a chat about the past. It jumps around a bit but there won't be a chapter without something in it to make you smile. On top of that, there are recipes at the end (yep, you know what a sucker for recipes I am by now) that all look super delicious and I can't wait to try them. By the time I finished the book, Stuart seemed like an old friend and one I would love to just sit by the fire and chat with.